I have been having pain on the shoulders and my back but the stubborn me just brushed it off like it’s a fly that will go away. It didn’t. It got worse and worse. So fearing being bed-ridden at the age of 30, I took the courage to go to the chiropractor today. Arrived and had to take my shoes off. Erk…I’m pretty sure my 4-inch wedges felt so out of place there and none of the flats wanted to be friends with it. I forgot. Chiropractor clinic = where heels go to die. Was brought to this room that looked suspiciously like Hammam’s massage room except this one had skeletons everywhere. The doctor asked me my problem and asked me several questions. The answer to all those questions are actually ALL THE TIME. I know right?!!!! He said that like he says yeah sure, get me some coffee. But he was really nice actually, and explained things very well to noobs like me. Ok so this is a bit of our back bone. In between the bones, there are sashimi lookalikes that are actually called discs. These discs separate the bones and absorb nutrients and fluid from the bones to keep them thick and juicy. I think. So what’s happened to me is that my discs are degenerating and they can’t absorb nutrients anymore. So they become thinner and thinner and the bones compress causing me pain. 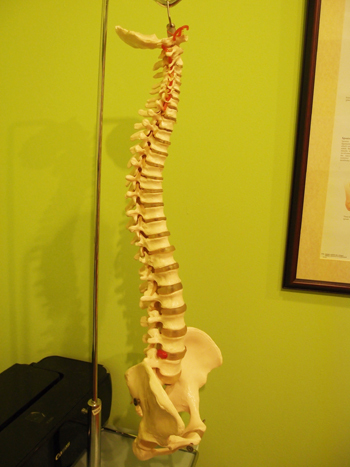 Normal spines are curved. My spine has gone straight upwards. He scared me. He said if I was pregnant, I might get a miscarriage or I might have a very complicated pregnancy. There are a few therapies that he recommended that I will have to undergo in the next few weeks to regenerate my discs and realign my spine. But until I get my MRI scan done, he can’t really tell which therapies I’d need. For now, he gave me some Do’s and Don’ts. 6) No looking down too much. Just when I thought my life was about to be sucked away by this doctor, he continued with the do’s and don’ts. You could hear the music go back into my ear. Dean actually stole one side of my favourite wedges just so I can’t wear them. And he’s carrying my handbag now. But that’s just to annoy me because I always make fun of men who carry their women’s handbags. Karma. And my dad is being all I-told-you-so about the computer. He says from now on, he’ll get someone to type for me while I read out what to blog. You know… just sit there and dictate. Queen Vivy has a nice ring to it, no? In all seriousness, I will get an MRI done tomorrow and get a second opinion. If it’s not too late for you, just please take care of your muscles and spine etc. I’m quite tall (1.7m) and working in front of computers almost 14 hours daily when I was an auditor made me the worst hunchback ever – and I was almost immune to the the backpain alr. What helped me was when I started to wear PB corset;at first more towards my body-shaping, but it did wonders to my posture and reduced the back pain substantially. no more heels.say hi to flats. Anyway, you take care…No fun getting sick so young.. Seriously V, no more heels . I got slip disc after fell down from horse-riding, and you cant imagine how pain the treatment Ive gone through for the past years . Seriously, take care of your bone, especially the spine . I cry every time the doctor said I couldn’t exercise, I most probably couldn’t get pregnant and I couldn’t walk for long hours even for window shopping . Is a good start visiting the chiropractor . Hope everything gonna be just fine V .
I was diagnosed with cervical spondylosis 2 weeks ago at the age of 24! similar kinds of pain, only that it involves neck, shoulder n sometimes arms. contributing factors : computer,wrong pillow,looking down too much. I know how painful it is but don’t rely on meds so much. painkillers will soon be your BFF! I’d suggest once you feel much better, exercise or practice yoga. I feel much better now after changing my lifestyle even though I’m aware that the condition is here to stay..
Oh ooo.. I’m so sorry to hear about it. About your backbone shape, just in case you are pregnant one day, please don’t take epidural. My friend had the same problem, and it was reeeaaaally bad for her when she was delivering her child. pls take good care of yourself..im sure ure gonnabe ok..will pray for you..
hey vivy, you should really consider wearing Premium Beautiful corset! Vivy, sabar ya.sakit itu kan ujian a.k.a sbg pencuci dosa.Berdoa byk2 supaya bersama ujian itu ALLAH tunjukkan juga jalan penyelesaiannya. Selamat berpuasa & beribadah. Semoga Vivy & keluarga sentiasa dirahmati ALLAH, ameen yrb. Have same problem. Alhamdulillah, sekarang jarang kena lagi, once in a blue moon. You should go for acupuncture. It helps a lot. Poor thing..hope everything went well dear! hopefully everything goes well with your bones! dugaan bulan puasa & sakit penghapus dosa, insyaAllah. take care pd! do take care of urself missy. I hv slipped discs because i wore lots of heels, used to carry heavy stuff when at work and wasn’t watching my posture (regrets!!!). Now, I go for physiotherapy sessions and swim twice a week which helps to ease the pain and strengthen my back muscle. Do wear your flats, exercise, rest and watch your posture. V, pls take care. Ur still very young and not married. 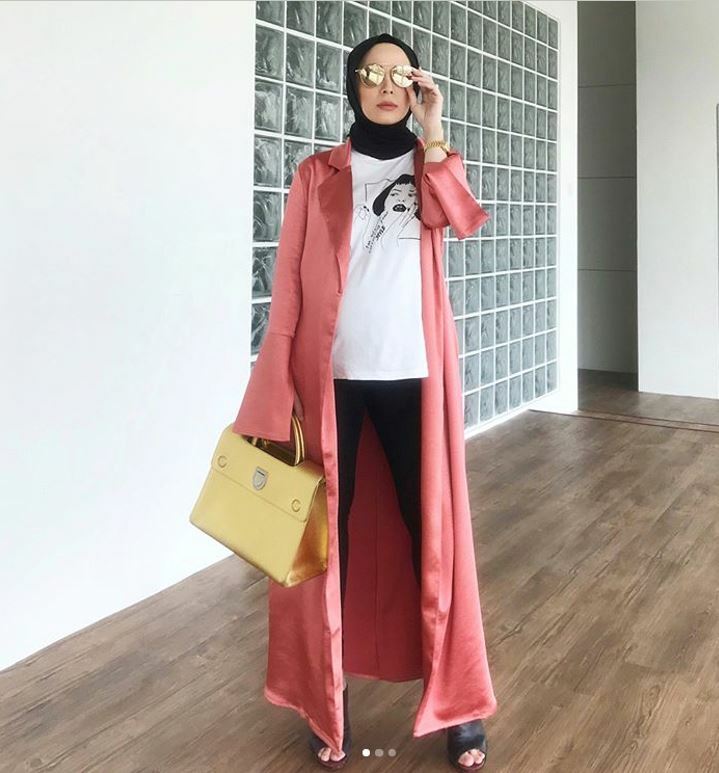 Badan tu nanti nak pakai lama, so jaga lebih lebih sekarang nih. You’re a workaholic, pls dun overstressed yourself. Esok2 when u got anak, the challenge will be greater and your kids nids u, so u gotta be healthy. Listen to the Doctor. It’s still a long way to go. 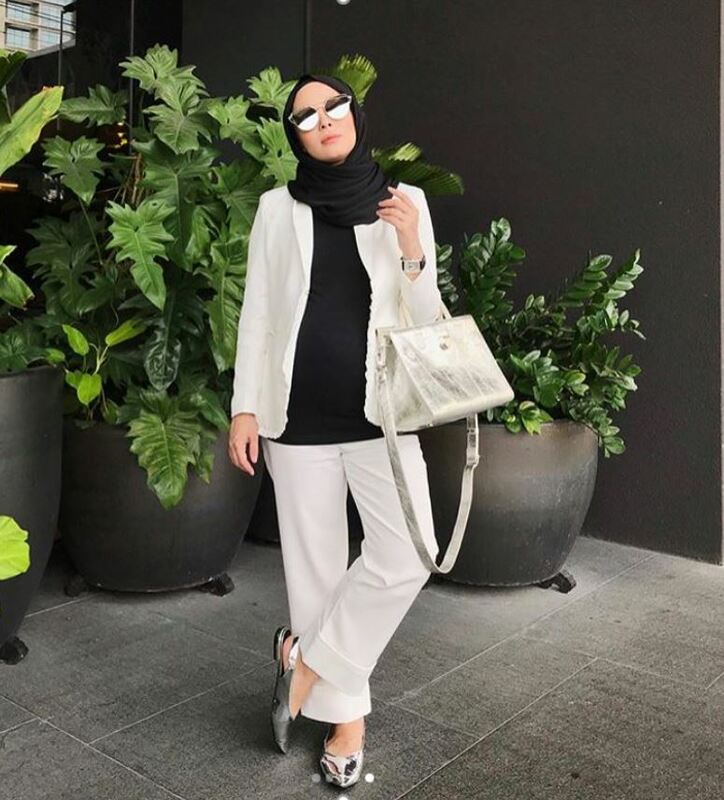 Pakai la mini bag, Vivy. Macam Alexa Chung pakai her Chanel Mini Bag tu. Gosh! You should be more extra cautious to yourself. Have a plenty of rest. You’re too young to face all those. It’s pretty hard to follow all of the advices from the doctor, but there’s always a room for you to try. also, likewise, back ache or pain can be due to many causes. and no, slipped disc is not hereditary. i suggest to consult a proper medical professional before going on various remedies especially, traditional ones. I couldn’t help to notice that among us nowadays at our age, this has become common …must be because of our lifestyle…hang in ther gurl…insyallah..cepat baik ..
wearing heels all the time is bad, you might face long term complications. 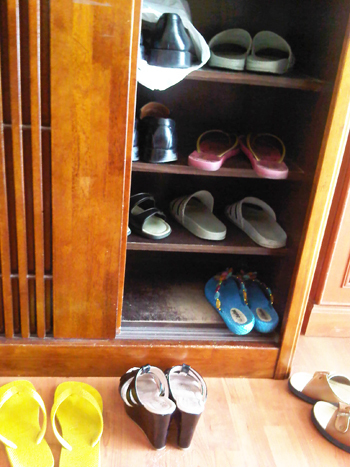 just give a chance to your feet to relax by wearing flats sometimes. I have been a silent reader of your blog all this while after being introduced to it by my wife. If you want to get a 2nd opinion, I suggest you to go to make an appointment with Dr. Deepak Singh Prince Court Medical Centre..
O duck, hope you’re gonna be fine and get well so soon! Whatever the docs tell you, do not go for surgery! Swimming, physiotherapy (a good one at Kelana Jaya),hydrotherapy (Prince Court,) acupuncture (fantastic result in Setapak),yoga (the centre in Brunei is so cool) help.You need to be careful with chiropractors as well (they are expensive and usually take so long to recover.Some bad ones will make it worse for you).Email me for details.Listen to your body.It’s telling you to stop working so hard and smell the roses. i suggest that you also see a medical bone specialist; orthopaedic surgeon to confirm it. perhaps it isnt as bad as what the chiropractor said. SOME traditional and complementary medicine (e.g acupuncturist, chiropractors) might exaggerate for income. 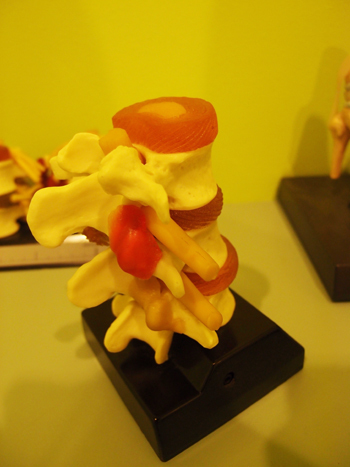 on your visit to orthopaedic surgeon, mention about your visit to the chiropractor to clear up the confusion. perhaps, the chiropractor was correct after all but hey, i guess it’s worth to be confirmed by a medical doctor. otherwise, google for ergonomics on work to give you a proper set up for using laptops etc. nowadays, it is very common for youngsters to complain about neck pain, shoulder pain, wrist pain simply because of our lifestyles; long hours on laptops, typing phones, the swinging action to play the addictive angry birds as well as clicking on joystick of PS. hey Vivy, I’ve got a slipped disc(recently diagnosed after the MRI)and that MRI was done after two years of complaining my back pain. It will become worst until your leg would feel a bit numb. Yes, no massages, no long hours walk(bye shopping) no more sports for me. and worst, doc made me drive in straight posture and painkillers are now my BFF. it helps to go see chiro, but be sure to watch your diet and doings. thats the most important. I know nothing about boney stuff so… I wish you get well soon and take care. Do know the difference between a doctor and a chiropractor. Never in medical books stated that anychiropractor could predict a miscarriage. Esp due to back problems,whatt?! Good job with your entries, but get your facts right or else you’ll only sound like a less intelligent laymen..